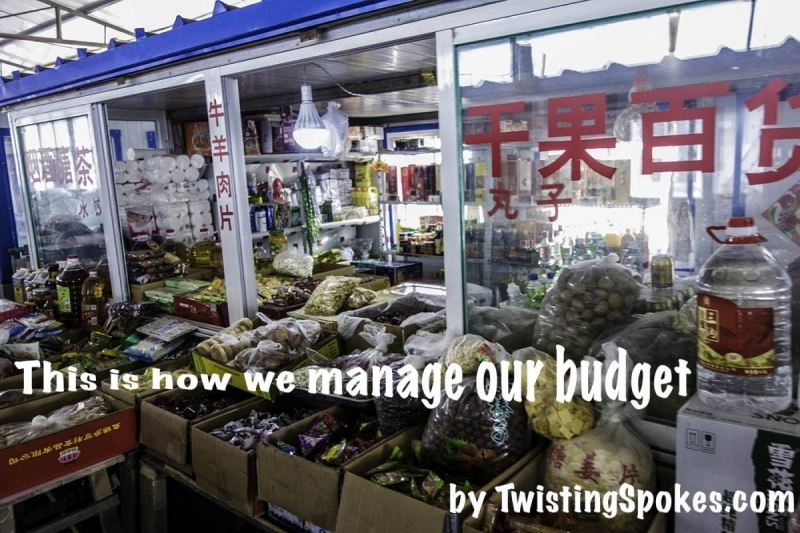 This is how we manage our budget is the third part of the series “This is how… by TwistingSpokes.com”. Many people traveling for a long time by bicycle think of their budget or finances before and during their journey on the bicycle. We are the same and think it can be nice to share so maybe we can learn from each other. Budget choices are always very personal but we think it is important to share. 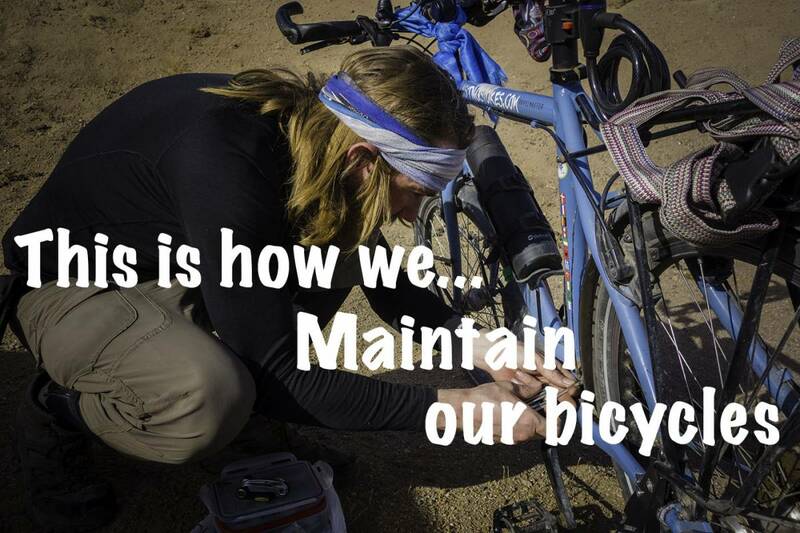 We have seen other bicycle travelers on very diverse budgets, from 1$ a day to 80€ a day and want to share our expectations and experiences with our budget. Our budget is calculated on being on the road for 500 days which has proven to be too little time for us on the road as we are enjoying the time we have. By now we expect to be traveling for at least two years. 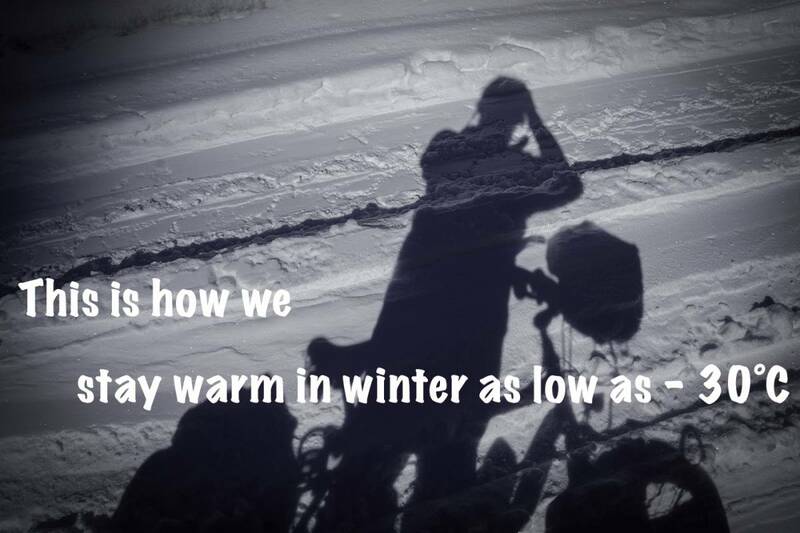 We initially thought we would make it to Kathmandu in 500 days as we roughly thought the route would be around 25000km, right now we have cycled 19000+km in 14 months. Anyway lets line out how we planned our daily budget. Again we looked at blogs and websites what others were spending and how they were living on the road. We decided that 20€ per person per day should cover all costs. So as a couple we would have 40€ to cover our expenses. So simple math will tell you 500 x 40 is 20000€ this is what we left Rotterdam with in our pockets or mostly on our bank accounts. We sold most of our belongings that we had in Rotterdam which was used to also invest in our gear. A thing worth mentioning is the initial investments made in our gear, below we line out the biggest expenses. These investments were made over the 2 years of intense planning and focus on our bicycle journey and most things were used also in previous small trips. 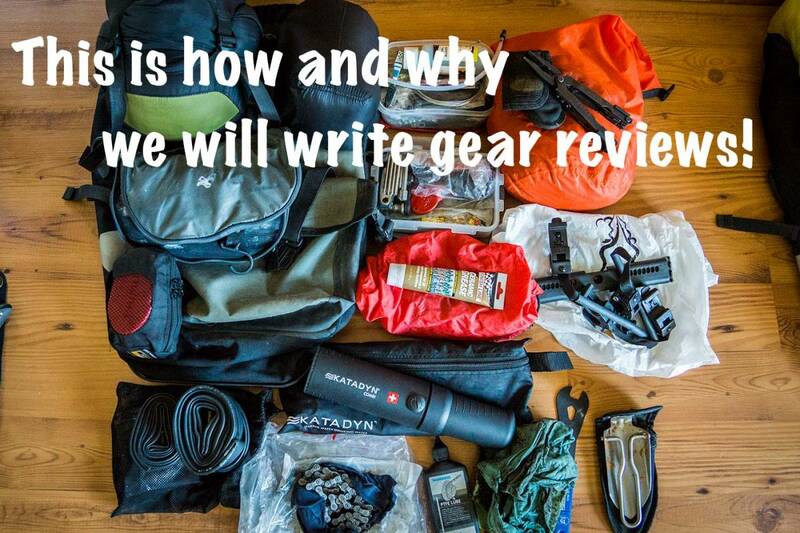 We do have a list of our gear it is not 100% correct but gives an image of what we carry on the bicycles. We made some choices on our initial investments and we had room for this in our finances at the point they were made. Bear in mind that we were working full time both of us and both had decent jobs. We chose for reliability and maybe would have made some different choices now but are still happy with the initial investment. Please look at this to see how we did it and not how you should do it. Make conscious choices in the period of planning as every € spent will for sure shorten your trip. We did it this way and are still enjoying our life on the road, so do it your way and get out there! We have tried to keep track of our expenses along the way so we could calculate our average spendings per day. Though during traveling this has not been a priority and since Kyrgyzstan we have not really kept track. Reality is that we try to be as cheap as possible in the things we buy and the places we stay. We work hard to get a discount, spend time searching for the cheapest accommodation and mostly cook our own food. That being said we are on a journey of a life time and thereby we sometimes make a choice which is not financial correct in our budget. Our journey is not only a trip but also our life at the moment and sometimes we have the need to spend a little bit more on something to find stability in our traveling life. Also the food in a country is very much important to experience local culture and we find it is important to indulge in these opportunities. At the same time it is not very often that we pay for tourist attractions, we generally enjoy life on the road and enjoy the uniqueness of this more so than viewing a tourist attraction with many other tourists at the same time. The daily routines of managing our money is that we only cary a small amount on us for spending on the necessities. Doing this does limit the way we spend as the choices are consciously made in this way. The statistics we will try to update and share in this post but right now they are not ready to be shared with you. We do know that our last average was around 35€ per day. This is around what we had expected and what we allow ourselves to spend. We are slowly running out of money and we have to be careful with our spendings as we are now getting close to the 500 days on the road. We are thinking of ways to make us able to continue traveling and reach Kathmandu as we had set out to do. This is how we manage our budget and again not the way you should, just an open window to our life on the road while on a bicycle journey. We hope it helps and if you have any questions or comments we would be happy to hear from you.